Portable Garage Shelter offers replacement covers for fabric covered portable shelters, carports, garages, canopies, fabric sheds, hoop buildings, and tents. View our Youtube videos which indicate the required measurements for a replacement cover and end panel. https://www.youtube.com/watch?v=mLpG6V_va68 We also demonstrate how to install a replacement cover. https://www.youtube.com/watch?v=ngSJeWFQ8_k&t=30s Our replacement covers are manufactured from woven 12.5 oz/ square yard 24 mil polyethylene which is thermally sealed at the seams for a watertight seal. Replacement covers are 100% manufactured in the USA with quality materials, high tech equipment and quality workmanship. All replacement covers include ratchets, straps, and conduit pipe which inserts into the cover pocket. A 15 year manufacturer prorated warranty is included with these heavy duty covers. Color options include: green, tan, white, and gray. 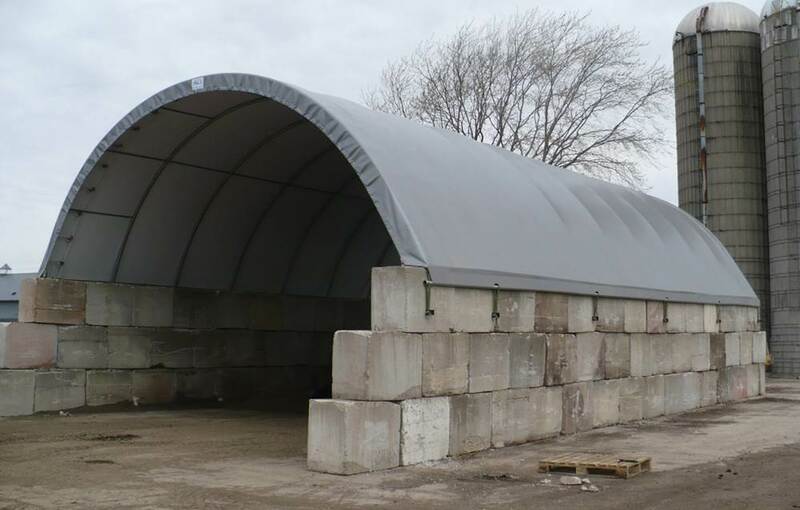 The following FRAME measurements are required to obtain a price quote for the replacement cover on all shelters and canopies (all measurements must be in inches). Please do NOT provide cover dimensions. 1.) Frame width (open end); 2.) Frame length; 3.) Frame height to top center; 4.) Distance around arch or A frame shape (ground to ground); do not provide wall height measurements if structure is mounted on a wall, if roof top only is needed, please provide roof measurements; 5.) Frame distance between legs (center to center); 6.) Frame pipe diameter; 7.) Shelter shape (round, A frame, or barn style); 8.) Desired color (white, green, tan, red, or gray); 9.) Mounting arrangement (asphalt, concrete pad, block wall, wood wall, etc); 10.) End panel requirements (if needed); zippered door width x height (note that zipper heights are in increments of 2'); 11.) Customer contact and phone number; 12.) Complete shipping address. Photos of the current shelter are encouraged to support in obtaining the proper product. Portable Garage Shelter is not responsible for incorrect measurements provided by the customer.